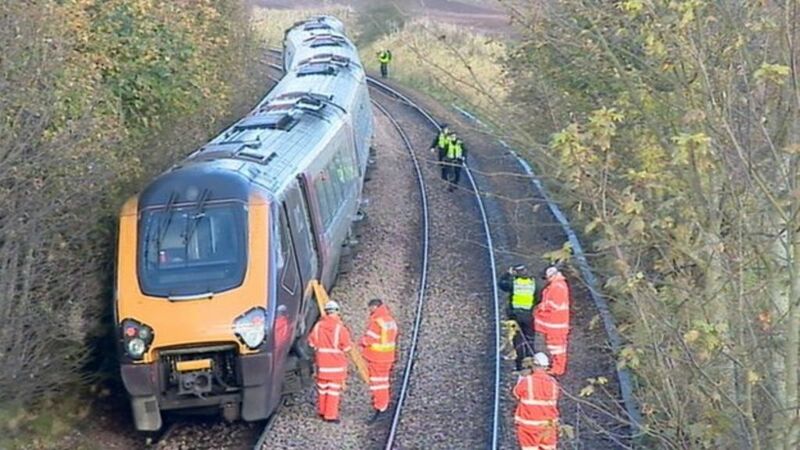 The rail industry has offered a £25,000 reward for information leading to the arrest of those responsible for a train derailment in Angus. CrossCountry Trains' 08:04 service between Edinburgh and Aberdeen came off the rails at Inverkeilor on 4 November. British Transport Police (BTP) said an obstruction appeared to have been deliberately placed on the tracks. The rail industry is offering a £25,000 reward for information leading to the arrest of those responsible for a train derailment in Angus.